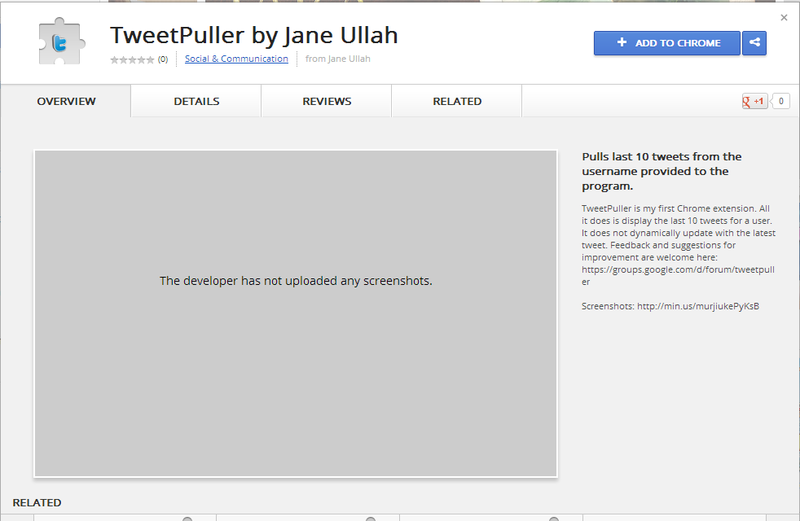 Well, I started work on my first extension for the Chrome browser called TweetPuller. Very imaginative, I know. 🙂 All it does is ask you for a username and then it displays the last 10 tweets. For a 0.1 version, I’m okay with it. I plan on fleshing it out once I’m done with finals but yeah, it was a learning experience and empowering to ‘complete’ this mini-project and have something ‘published’. If you’re curious, check it out in the Chrome Webstore. Here are some screenshots of what it looks like in case you can’t find it in the store yet. My projects for Data Structures have been pretty fun. Our last project of the semester is to implement an AVL tree and as a bonus, a Hash table. Due on Thursday, I’m done-ish although I’ll keep testing periodically. Side note, I’m making extensive use of Trello to keep tabs on things I’m working on. Using the PHP Simple HTML DOM parser for scraping the transit.uga.edu website to pull in text from the “Service Alerts” section which is displayed on the homepage. My todo is to set up a cron job to visit the transit website at some predetermined frequency so that I don’t have to manually run my php script. Using the tmhOauth twitter library to tweet out any changes detected to the @dawgtransit twitter page. Using a remote JSON feed to implement typeahead functionality in the UGA Bus Route Connector tool section which I should add is somewhat buggy. It works reliably in Firefox and Chrome. IE is hit or miss and I’m still trying to track down some bugs. Please test the tool out and I’d appreciate any feedback suggestions. The website is powered by Bootstrap which I can’t get enough of now. Heck, I even used the bootstrap .css and .js files in my TweetPuller Chrome extension! Anyway, I highly recommend you check it out if you have the slightest interest in developing on the web. Bootstrap enables me to write once and view (almost?) anywhere i.e. you can use the DawgTransit website on mobile and non-mobiles devices without having to add any special code or generate a separate website to handle mobile devices. Bootstraps takes care of all of that.